At the beginning of the year, another metals conservation student and I embarked on a work placement for Heritage Malta. Our dedication to our studies is clearly second to none: it's a hard life having to leave the chilly January weather for something more closely resembling a warm summers day in England! Malta is a small island, only 122 square miles in area, but it has been involved in many pivotal moments in European history. 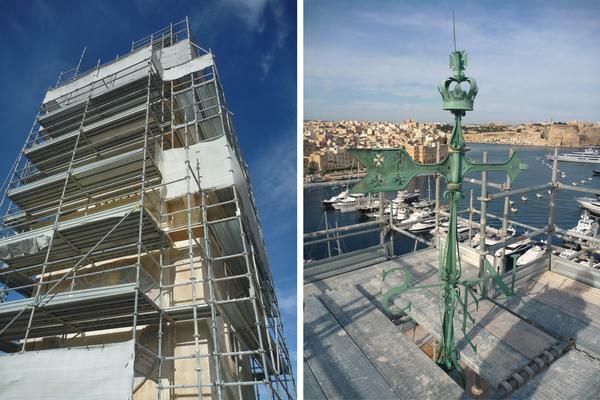 This makes the cultural heritage of Malta very important and conservation plays a pivotal role. Heritage Malta is a government-run conservation firm which operates many of the museums across the islands. 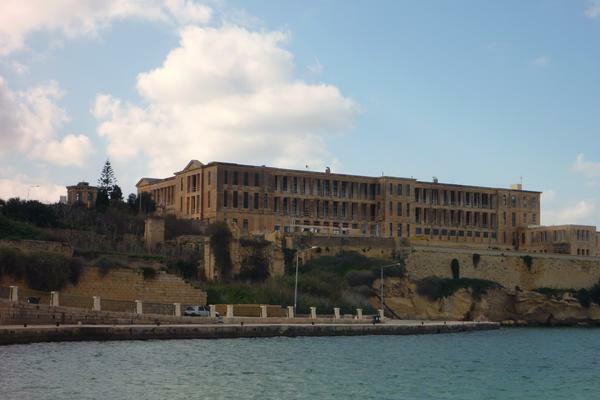 It is based in an old naval hospital dating back to the British occupation of Malta. The workshops are situated in one of the wings of the building and are divided accordingly into four material disciplines; books and paper, paintings, textiles and objects. 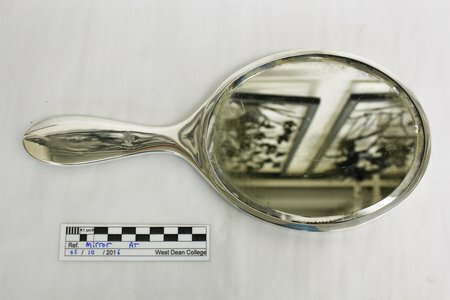 The conservation of objects includes stone, ceramics, glass and metalwork and is the department which we were assigned for the six-week duration of the work placement. 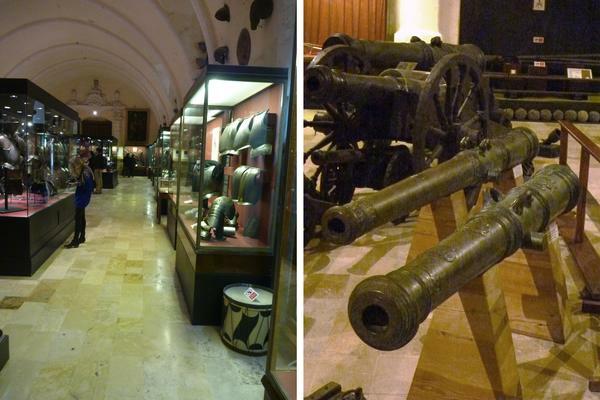 Much of our time has been spent at various Heritage Malta museums, beginning with the Palace Armoury in Valletta. The Grand Master's Palace was once the official residence of the Grand Master of the Order of St. John, whereas today it serves as the President's Office and the seat of the Maltese parliament. 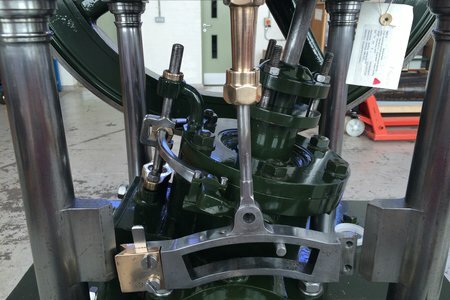 We assisted in cleaning a couple of copper alloy cannons as well as completing routine maintenance on some of the items in showcases. Currently there is major conservation work being carried out on the exterior of the National Maritime Museum. This building also has historical importance, once being the Naval Bakery used to feed the garrison whilst Malta was under British rule. The clock tower has a copper alloy weather vane at the very top which is also due to be conserved. This has to be reached by taking a lift to the roof of the museum, and then climbing eleven ladders to the uppermost platform of the scaffolding surrounding the tower. As you can imagine the view is pretty amazing, the elevation enabling us to see a large area of Malta, including Fort St. Angelo at the end of Vittoriosa, across the grand harbour the city of Valletta and the shipyards beyond Senglea. Even the old naval hospital in Bighi is visible across the tops of the buildings in Vittoriosa. Work on the weather vane is dependent on the weather and therefore numerous projects inside of the museum were considered. So far this has included the treatment of two World War One German torpedoes as well as a 16/17th century Maltese corsair box. 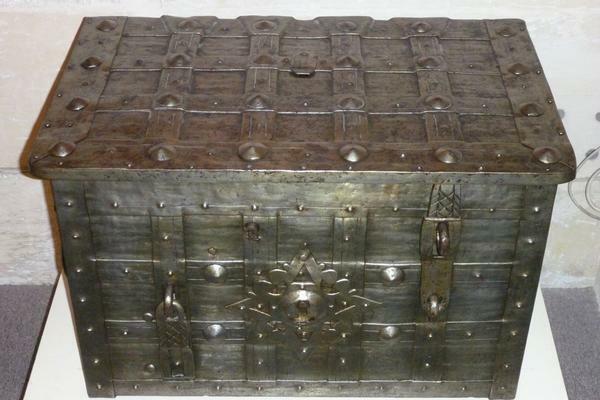 This box was used to store valuable items including gold and silver coins. The experience has been very enjoyable so far and learning about the different conservation procedures has been interesting. 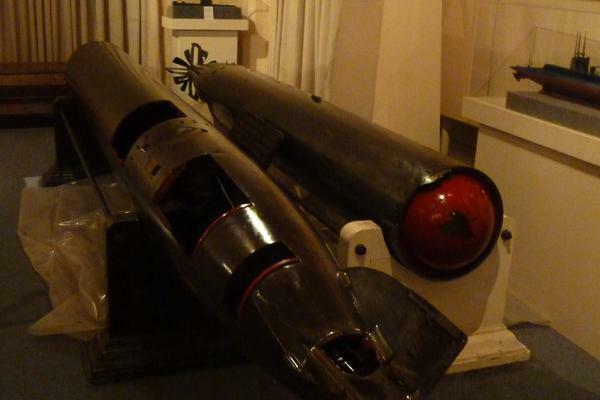 These procedures vary slightly due to the different climate in Malta but the objects available to work on have been of an extremely high quality. 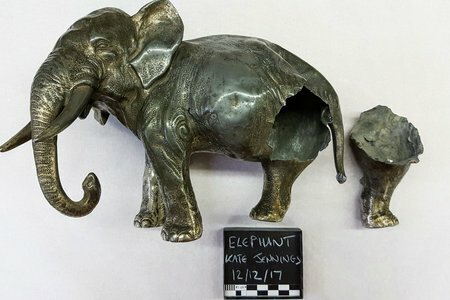 It is satisfying to be able to conserve items on exhibit around Malta, visitors wandering around can begin to understand the work involved and the importance of conserving the countries cultural heritage.